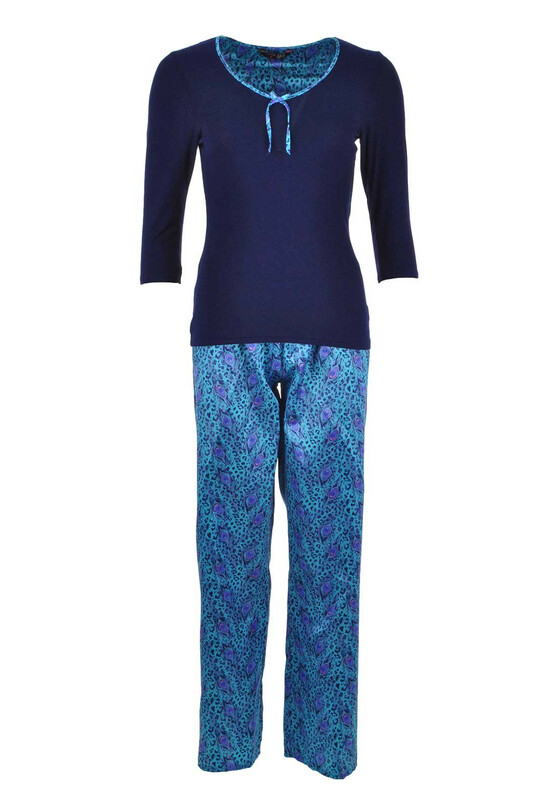 Relax in comfort and style with this pyjama set from Indigo Sky. 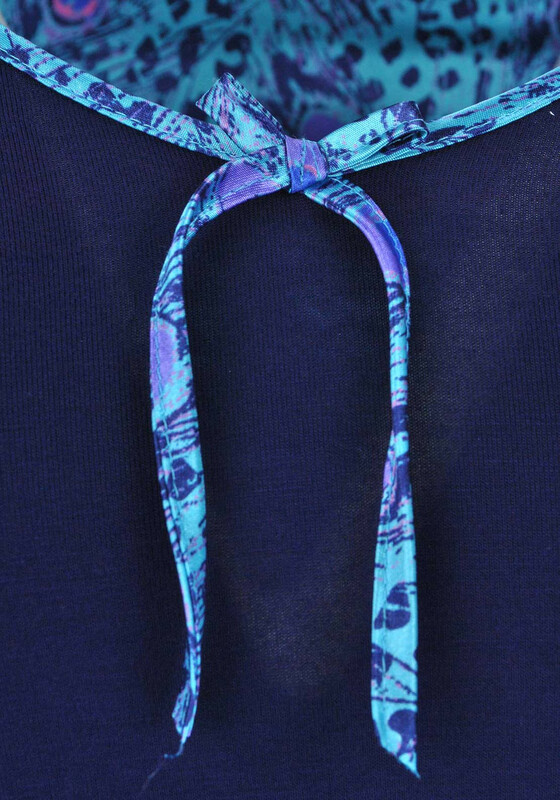 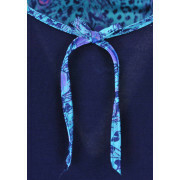 The satin pyjama bottoms have a quirky peacock print throughout and an elasticated waistband. 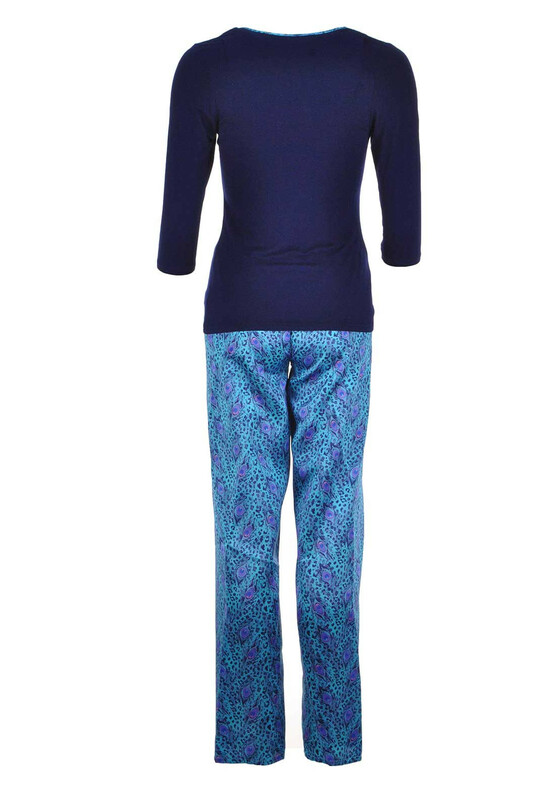 The cropped sleeve pyjama top is crafted from navy jersey fabric and features peacock print piping at the V-shaped neckline.